Budapest's real estate market remains popular. Not only are new investors enjoying a favourable conditions, but Landlords who purchased their properties before 2008 as well. If you are well aware of the current trends, owning a property in the Hungarian capital is a lucrative investment. After the financial crisis it was expected that many foreign investors will sell their Hungarian properties. Reality proved otherwise. 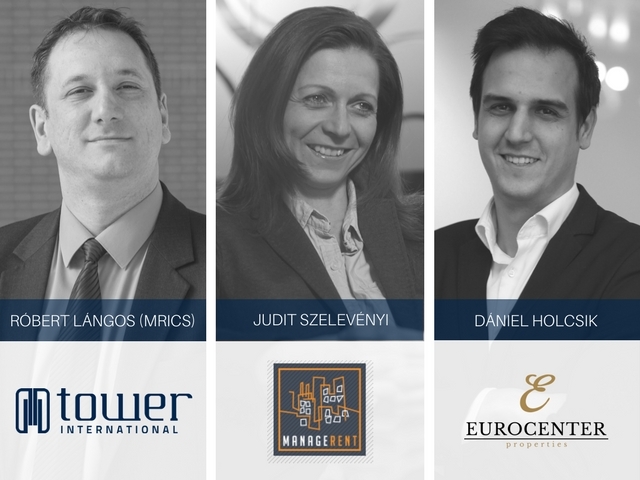 According to recent research by Tower International, Budapest’s leading property management company , the proportion of English and Irish investors who sold their Budapest properties since the crisis is only around 20-30%. Judit Szelevényi, from ManageRent Property Management Firm , confirms this finding. This company manages over 100, mostly Irish-owned, properties in Budapest. Róbert Lángos (MRICS), Property Management Director of Tower, says there was no massive "selling-mood" by foreign landlords. He sees a diversification of nationalities. Many new investors are foreigners from a variety of countries. They see great potential in the development of the Budapest real estate market. The number of enquiries from foreign buyers at Tower in the first three quarter of 2017 is 68% higher than in the same period of 2016. This tendency has been ongoing since 2013. The company is listing hundreds of apartments for sale in Budapest . The decision to stay after 2008 has been justified by the figures. Just between 2015 and 2016 there was an increase of 20% housing prices. In the following year this growth continued (16%). Lángos has positive expectations: "Most of our customers are satisfied with the changes in the market. I am encouraged by the fact that prices have already reached and even exceeded pre-crisis years. However, in the case of foreign investors who entered the market before the crisis, this is still a correction - especially considering the change in the exchange rate of the Forint. I am convinced that there is still a good chance for growth, maybe not in the immediate future but definitely in mid-term". The Budapest real estate market is a favourable place not only for foreign investors. "Local Hungarians have been very active in the city center in recent years" - explains Dániel Holcsik, Luxury Rentals Executive at Eurocenter Properties . What is the Biggest Challenge in the Market Today? "There is an over-supply for downtown apartments renting between 1000-2000 euros" adds Holcsik. 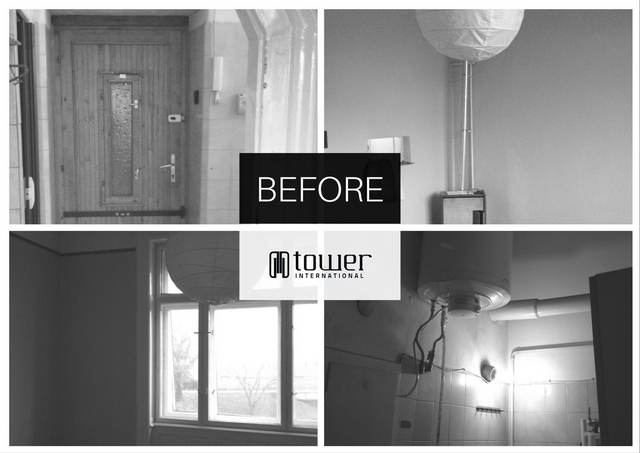 Zsolt Pavelka, Letting Manager at Tower has a similar experience for properties renting between 400-1000 euros. Both professionals agree that new investors are less reluctant to pay for renovations, raising the quality of city center apartments. As a result, tenants are less likely to encounter run-down or badly furnished homes compared to previous years. This poses a challenge for investors who purchased their apartments 10-12 years ago and have not modernized the interior and the furniture. It is not always necessary to do a complete renovation. The rent can often be increased simply by relatively inexpensive upgrades. Neatly furnished apartments will sooner find tenants much sooner than properties with old-fashioned furniture. 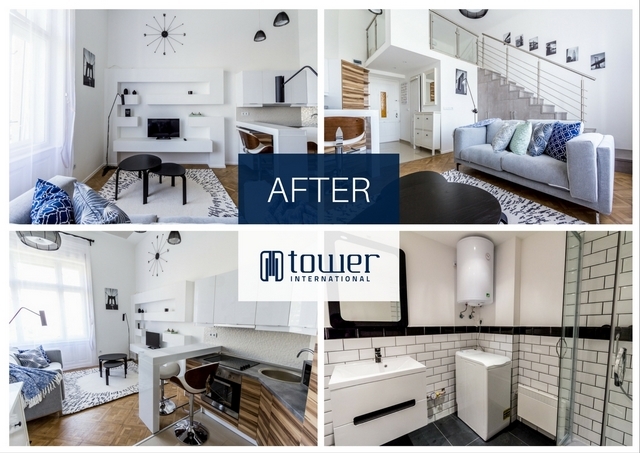 Tower’s interior designer and renovation partners have assisted many landlords in this process. Decorations and a harmony of the interior can mean a lot. When apartments look more homely, tenants are more likely move in. Beautiful curtains, stylish pictures on walls and decorative items on shelves can make all the difference. It is wise to invest in renovations and design, as significant extra profit can be realized. The following cost/benefit analysis exemplifies this.